Established in 1995 Bikestyle has been serving & sponsoring the Island’s community in all aspects of cycling over the last 2 decades. From small beginnings, we have now grown into our new home at the Market Hall where we cater for cyclists of all levels and abilities. From the Sunday rider to road racers, mountain bikers and commuters we have strived to create a shop for people who simply love cycling. We strongly believe in having the opportunity to experience products first hand, at competitive prices, and endeavour to remain the established and trusted hub for cycling in the Isle of Man. 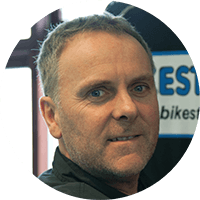 Gavin and Robert are centre stage to help with all your needs, on and off the bike. Ronan and Sam take expert care of your bike. 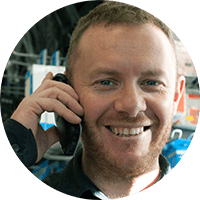 With years of experience as mechanics in shops and at races, we can repair, advise and rebuild to your needs. While you wait, what better than having a coffee sat in the sunshine, on the quayside, in your favourite coffee house. One of the driving forces of the cycling community on the island. 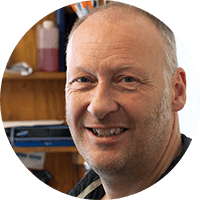 Gavin has been contributing, organising and participating in cycling, thriatlon and other events for over two decades. There’s only one word that matters to Gavin – community, and that’s what The Market Hall is about. Our Enduro, downhill king and lover of all things cycling. His family has been a big part of cycling in the north of England, owning there own shop. His Mother was World Road Race Champion, 1982. A super strong mountain biker and road racer, focusing more recently on surfing. He is our very own Silver-Surfer. Junior IoM mountain bike Champion. Numerous Senior National Road Champ titles. Represented the IoM on the premier racing calendar. Offering a wealth of knowledge to all our cycling clients.